Where should Assassin's Creed be set next? Assassin's Creed Odyssey won a lot of praise from Steven this week, and it's undoubtedly the highlight of a series that's had a pretty up-and-down history. Ancient Greece proved to be a great creative choice by Ubisoft Quebec, but where should the series be set next? That's the subject of this weekend's PCG Q&A. Let us know your answers in the comments below. If Dynasty Warriors 9 taught us anything, it's that there's great potential in an open world game set in China during the 2nd and 3rd century. If Dynasty Warriors 9 taught us a second a thing, it's that Dynasty Warriors 9 is a terrible open world game set in China during the 2nd and 3rd century. It's an exciting period of history, though: full of heroes and betrayals and epic facial hair. There's loads here for developers to draw on. While both the aforementioned Dynasty Warriors series and the upcoming Total War: Three Kingdoms are set during the period, both tend to focus on large-scale conflicts. This era would be fertile ground for a more linear, directed story centered on specific characters, and I'd love to see areas of historical China recreated with Ubisoft's polish and production values. It would also benefit the Assassin's Creed series generally. So far, the main games in the series have tended to focus on more recognisably Western regions. We're long overdue something a bit different. If Abstergo can figure out how to make digital time ghosts who make friends with birds or possibly sometimes are birds while also trying to read or possibly break or invent the Da Vinci Code, then they can make an educated guess about the future. Or at least run digital simulations of possible futures. Also, isn't their whole thing about technological superiority? I feel like they'd love an Animus thingummy that lets them predict future tech, get people from now to user test it and then invent it, thus pre-empting and cornering the market. Alternatively, if we're talking about where it should be set so that I definitely end up playing it, they should go with something like Atlantis. 100% underwater. Assassinating clown fish or something. Wait. Maybe I don't want to play that after all. Scotland during the First War of Scottish Independence. Y'know, when Braveheart was set. I love the idea of roaming the glens and highlands as a Scottish rebel, slipping into English encampments and castles, dismantling Longshanks' army piece by piece. Odyssey proves that Ubisoft are capable of making dramatic open worlds made up of mountains and valleys, and the bleaker, colder climate of Scotland would be a nice counterpoint to the colourful and lavish Greece. There are a lot of characters you could meet. William Wallace, Robert the Bruce, Longshanks himself. And Ubisoft can be sure that every patriotic Scot will buy the game, just to stick it to the English. Virtually, of course. We love them really. The game would also be a chance to show this period of history through a (slightly) more accurate lens, because Braveheart is, as we say in Scotland, historically speaking, a load of pish. Please, though, if you do make this game for whatever reason, hire Scottish people as voice actors. Whenever I hear a Scottish accent in a videogame it's always terrible and embarrassing. Part of the potential appeal of Assassin's Creed is the way it brings history to life, but I always thought it was a shame how the series stuck with western European cultures that are well-tread ground for videogames. I love Phil's idea of doing China, but I'd love to see Assassin's Creed really go deep and do something that hasn't gotten a lot of screen time in mainstream media. I'd love to see something like Assassin's Creed Sumeria, Africa, or Mesoamerica. These are all critically important areas of history that aren't necessarily influenced by the Western world, and it'd be awesome to see that culture brought to life in a videogame. 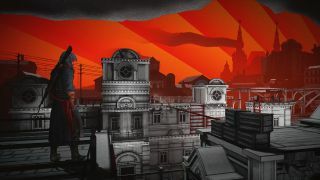 While there's an Assassin's Creed Chronicles spin-off game set in Russia after the October Revolution, which I'll never have time to play because Ubisoft releases main installments all the damn time, I would be interested in playing a proper 3D entry set in an early 20th century timeframe. Will Assassin's Creed ever be ready for proper gunplay, though? I think Ubisoft sees melee combat as one of its USPs, and making the series into a third-person shooter might lose the mix of that a bit. Alternatively, what would Ubisoft's version of the American frontier be like? It has the blend of real-life big characters and social change that would make a good backdrop to Assassin's Creed, picking up a little later than the not-very-good third game.